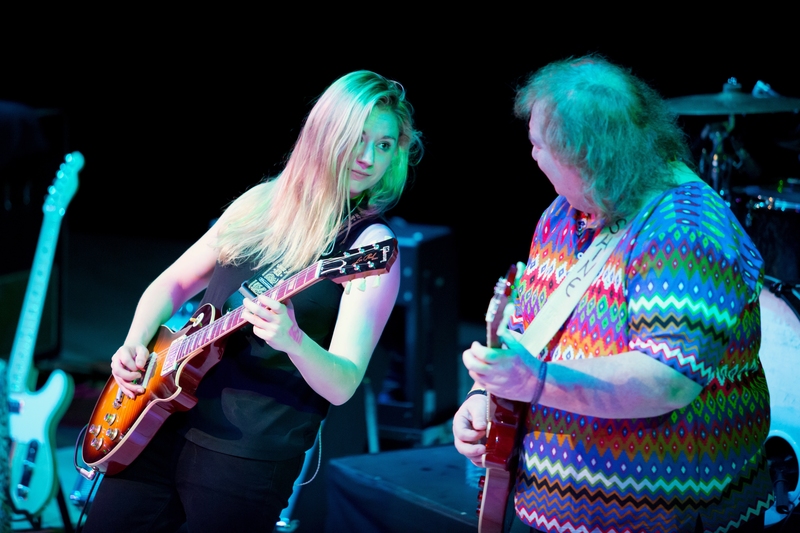 'Welcome home,' was the shout from the near-sold out audience as Joanne Shaw Taylor took to the Birmingham Town Hall stage. 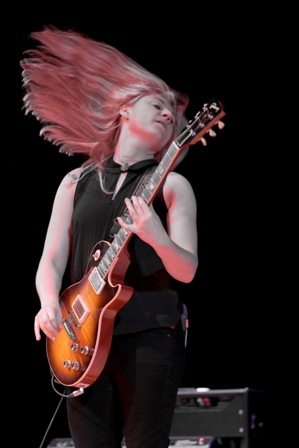 'It's great to be here,' replied the blonde guitarist who hails from nearby Solihull. Now in her late 20s, the girl sure can play. 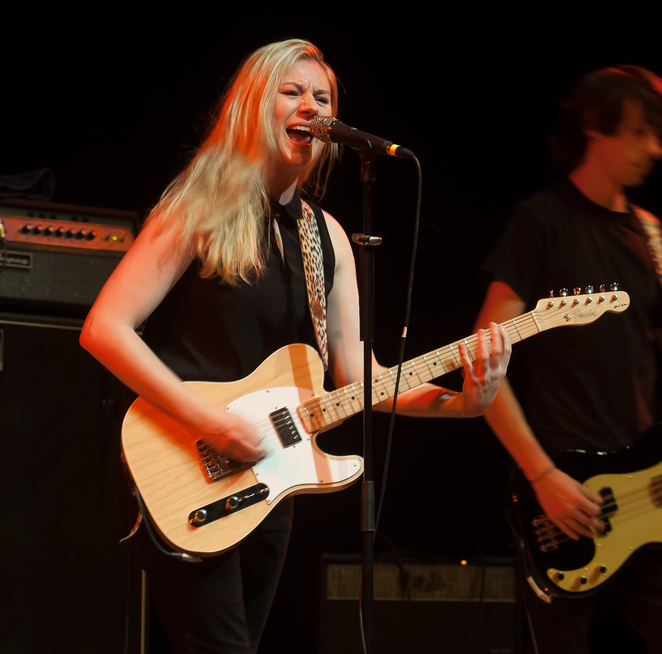 With her third studio album, The Dirty Truth, to promote we were treated to a handful of new tracks, including opener Mud, Honey and Wrecking Ball which, she says, was inspired by Bruce Springsteen's song of the same name, rather than Miley Cyrus'. It was her back catalogue which was red hot, however. Watch 'em Burn from debut album, White Sugar, featured a scorchin' guitar solo, while Tried, Tested & True, from second long player, Diamonds in the Dirt, proved to be a slow burning blues workout. That album's title track, with its choppy guitar riffs and Joanne's trademark husky vocals, was also a winner. All of this built up nicely to the set's highlight, an appearance by support act Bernie Marsden of Whitesnake fame. He duetted with Joanne on Whitesnake's Walking in the Shadow of the Blues, then the two of them pretty much blew off the Town Hall roof with Let it Burn, featuring a mind-blowing guitar duel. Afterwards Joanne announced: 'It was as much fun as it looked'. She also revealed she'll be back at Birmingham Town Hall on December 16 to guest with the BBC Big Band at their Swinging Christmas Show. Bernie Marsden has a new album to promote and during his 40 minute support slot we were introduced to four tracks from Shine. Ably assisted by fellow guitarist Jim Kirkpatrick, the 63-year-old is an amiable entertainer. He tells how in his younger days he tried to look like his hero Rory Gallagher, who he saw in concert at Birmingham Town Hall when he was 19, and was thrilled, years later, when Rory told him someone had once mistaken him for Bernie Marsden. 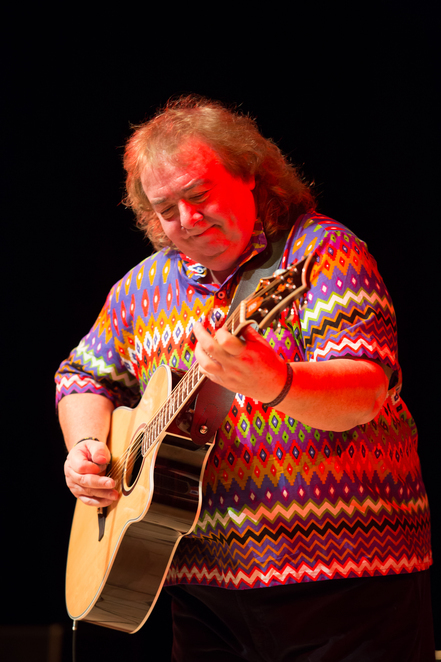 He may now be 'older and wider' (his words), and look more like comedian Eddie Large, but he can still make his guitar sing, especially on vintage Whitesnake material. The likes of Till The Day I Die, Ain't Gonna Cry No More and Here I Go Again brought back many good memories of the 'Snake in their prime. Why? Smokin' hot blues from Midland guitarist and singer.